As we begin to age our lips start to get thinner and begin to lose their definition. You may have noticed fine slines forming around your lips and at the corners. Lip enhancement allows you to get more difinition in your lips and give your mouth an alluring and youthful look. Lip enhancement is often requested by clients once the v-shaped area of the upper lip, which is commonly known as the Cupid’s Bow, starts to lose its fullness. When you apply your lipstick it tends to bleed down vertical wrinkles which greatly reduces the impact of your lips. By havng your lips enhanced and giving fullness to the vermillion border can can stop this from happening. At The RE-NU Skin Clinic we have a range of products that can create that perfect pout. We can use Dermal Fillers such as Restylane® and Juvederm Ultra® or the new Juvederm VOLBELLA which lasts up to 12 months to inject into the lips to volumise and hydrate, redefining and enhancing their shape naturally. One or both lips can be treated. Your practitioner will discuss with you which area of the lips will be treated to give you the results that you are looking for. Results can last up to 6 months depending on product used. 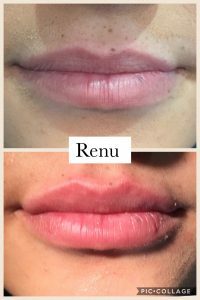 Patients can have lip treatment on several sessions and at Renu the amount of product we will use in one session in the lips will vary from 1-3mls depending on areas we are treating. We may use a further 1ml at the same sessions to treat peri oral lines if we feel you would benefit from this. You are asked to return to the clinic after 7 days for review and any additional product required will be charged per syringe again. 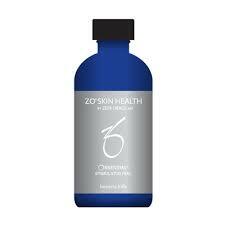 Please note that the full result will show itself a few days after treatment, once the product has settled. The lips will appear larger post treatment and once swelling has reduced they will appear smaller. Please note that the lips have not lost product. With dermal fillers unlike toxin there is no top up of product FOC. We adopt a less is more approach in all of our treatments and add further if required. As our products are a non-permanent filler, the effect gradually diminishes with time as the gel is degraded. 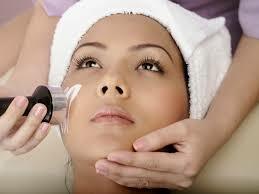 In order to maintain the aesthetic result, top-up treatments are recommended. 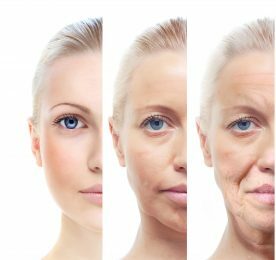 In the case of wrinkle treatments, these are generally performed after 6 to 12 months and for lip treatments within 6 months. 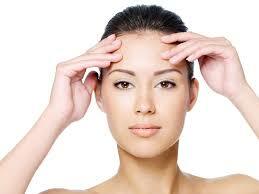 Most people are suitable for dermal filler treatment. We will carry out a medical history and we will discuss this during the initial consultation. Patients with a known allergy to hyaluronic acid fillers or amide local anaesthetics should not undergo treatment. Nor should patients with porphyria, bleeding disorders, or active skin disease such as inflammation, infection or tumours in or near the area to be treated. we will discuss contraindications, warnings and precautions with you before your treatment. Our Registered Nurse Kristeen Geddes RGN NIP BA BSc will perform the treatment. With over 9 years advanced training in aesthetics she works full time as an injector. 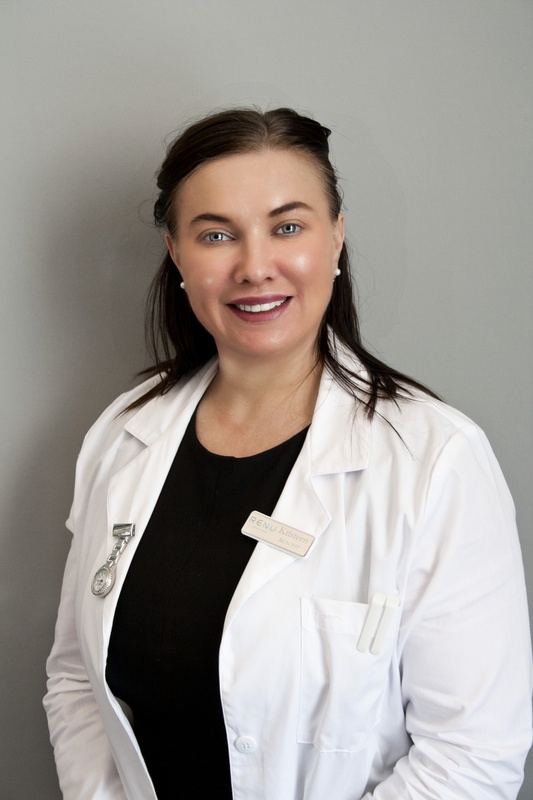 An award winning Best Medical Practitioner in 2016 she prides herself on being recognised as a top injector. The most common side effects include treatment site reactions such as swelling, bruising, redness, pain, and tenderness. These side effects generally disappear within one week after injection. Other potential side effects can occur with dermal filler injections. We will discuss the potential treatment risks with you at your consultation. If you are taking immunosuppressive medications, since use of these medications may increase your risk of infection. If you are taking aspirin, nonsteroidal anti-inflammatory drugs (NSAIDs) or any other medication that affects bleeding. As with any injection procedure, using these medications may increase your risk of bruising or bleeding at the injection site. If a laser treatment, chemical peel or other dermatological procedures are considered before or after the Emervel treatment. There is a possible risk of an inflammatory reaction at the treatment site. 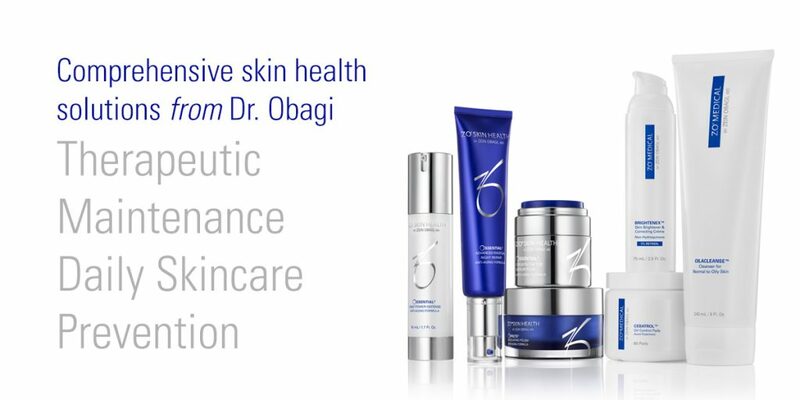 If you have a history of excessive scarring or any pigmentation disorders. Scarring and pigmentation changes may occur with hyaluronic acid fillers in general.